Our trend hearts just skipped a beat for Lipslut; the cool, unorthodox cosmetics brand on a mission to improve society one pout at a time. If you've ever doubted whether or not makeup can make a difference in the world, just look to Lipslut. 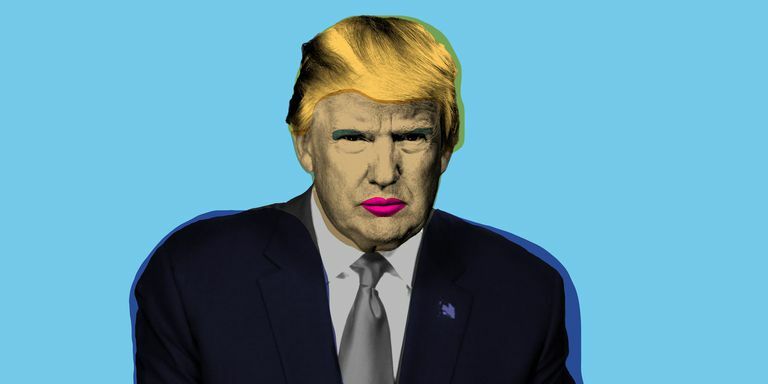 The company recently announced that they would donate 100 percent of the proceeds from their “F*ck Trump” lipstick to groups helping families affected by Trump's “zero tolerance” immigration policy. And get this, they raised a whopping $100,000 dollars in just two weeks. Junior college student Katie Sones, is the altruistic entrepreneur behind this stroke of genius. Like countless other Americans, Katie felt deeply upset after Donald Trump was elected as president. So she racked her brain to find a way to make the situation better. A social media poll allowed followers to choose the brand’s first lipstick. The winner? A warm pink color, appropriately named “F*ck Trump,” available for $20 a pop. In a nutshell, Lipslut is fashion, subversion, and a middle finger to the current sociopolitical landscape. All perfectly aligned with the emerging consumer mindsets of the Mass Avant-Garde trend. But there is certainly also something Holistically Happy about this initiative, which is all about working hard towards solving the issues you care about. Lipslut is here to help you make a statement and to change the world one face at a time. We're ordering ours now!